Utilities, be it Electricity, Water or Communications are the backbone of a nation. Any kind of downtime has to be dealt with expensive measures of compensation. While security and operational systems have traditionally been looked at in a disjoint manner, 2020 provides an opportunity to integrate them on to one platform. 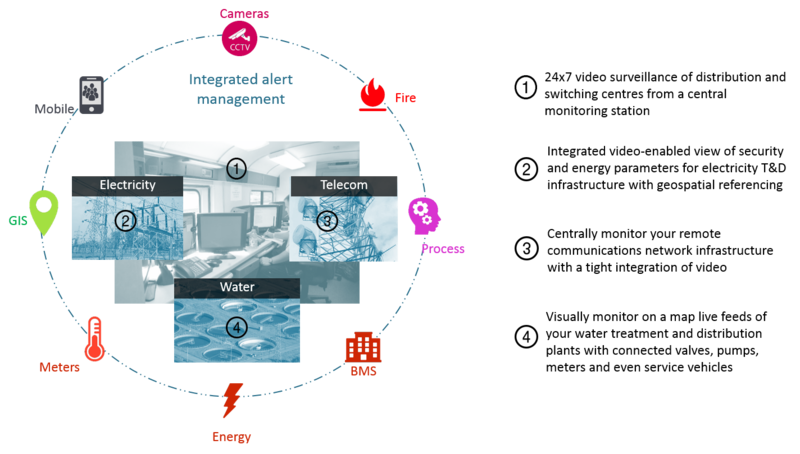 The integrated video-enabled alert management platform can flag security, facility and process alerts on one window by interfacing with multiple sub-systems at the backend, thereby enabling a common operative picture and situational awareness of your operations giving way to proactive actions.